Around here, it’s always soup weather. 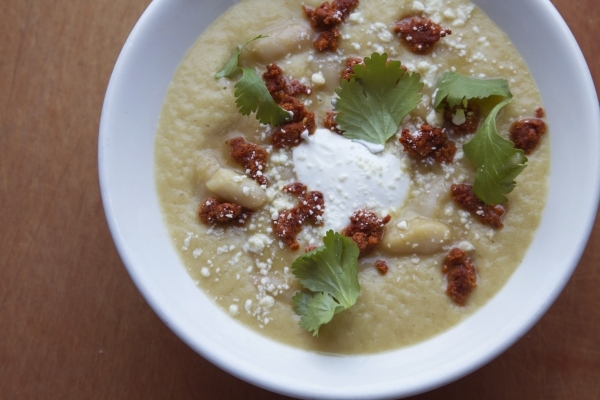 With the arrival of spring temperatures, this Banana Pepper-Leek Soup with White Beans and Crispy Chorizo, hits all the right notes. Light-green banana peppers (versions in Mexico are called chile güero or xcatic) brighten things up, while the aromatic creaminess of slowly cooked leeks and beans provide enough substance to beat whatever chill is left in the air. And crispy chorizo never hurt anyone.